A 7 year old male, Wilson, with a history of autism spectrum disorder (ASD) and attention deficit disorder with hyperactivity (ADHD) came to us for an evaluation. His parents were hoping for help improving his behavior at home and at school. He was having issues focusing in class and was often disruptive and annoying to other students. He was also challenging at home – he was a very picky eater creating stress around mealtime and often had temper tantrums and became aggressive when he did not get his way. They were also dealing with chronic constipation and abdominal discomfort. He had been given several psychiatric medications to treat his ADHD and anxiety but the parents decided to stop the medications with the past 3 months due to side effects including weight loss, insomnia, and irritability. Wilson had been doing well until his first birthday. Mom reported a dramatic change in his behavior after receiving his 12 month vaccines. Within 12 hours, he developed a high fever, full body skin rash, and became inconsolable for several days. His pediatrician felt that the symptoms were perhaps related to a viral illness at the time of the vaccines and instructed the parents to provide supportive care with Tylenol and/or Advil as needed to reduce the fever and body discomfort. The rash and fever resolved but his mother’s intuition told her that something had changed within her son after that episode. The parents continued to see delays in his overall development and finally before the age of 3, Wilson was evaluated by pediatric neurology and given a diagnosis of ASD. Just hearing the parents recall the story was emotional for us and them. They simply wanted their “broken” child returned to them. As parents ourselves, hearing a comment like that can be soul crushing. We completely understand their deep desire for some “normalcy”. After completing the history at our initial visit, we decided to obtain laboratory testing to better gauge what was going on inside this child’s body. Remember, any chronic disease work up needs to focus on identifying inflammation in the body, deficiencies of vitamins and minerals, and on problems with detoxifying the bad “stuff” that disrupts normal body functioning. Blood labs included a thyroid panel, vitamin D, vitamin B12, cholesterol, c-reactive protein (crp) and homocysteine (markers for inflammation). We also obtained a blood test looking at food sensitivities (often driving inflammation) and an organic acids test (urine specimen). The organic acid test is a comprehensible panel looking at common disruptors like bacteria or yeast, energy function within the cell, and detoxification pathways. Quite a bit of information to identify root cause! Before we received a single test result, we asked the parents to remove all gluten and dairy from their son’s diet along with a strict limit on added sugars. These three components of the standard American diet are incredibly inflammatory and contribute to a significant amount of the chronic disease burden. We were particularly interested to find out how much, if any, the behaviors changed by simply eliminating these inflammatory components of the diet. The patients labs were as we suspected based on our experience treating patients with this disorder. The patient had a vitamin D level of 16 (should be 60-80) and a borderline low vitamin B12. His total cholesterol was 108 which is very low (expect to see at least in the 140-150 range). There is a correlation with low cholesterol and overall brain health. Every single cell in the body has a fatty membrane that requires cholesterol and many of our hormones need cholesterol as a building block. Homocysteine was 11.4 (should be under 7) and crp was normal at 0.6 (should be less than 1.0). The food sensitivity panel revealed high antibody responses to cow’s milk, goat’s milk, eggs, almonds, sesame seeds, gluten, banana, and green pepper. In addition to what we had already eliminated after the first visit, we asked that these additional foods be removed for at least 3 months. Finally, the organic acid test revealed an incredible amount of dysfunction in Wilson’s body. First, he had markers indicating both candida (yeast) and clostridium (bacteria) overgrowth in his gut. Zinc and vitamin C were extremely deficient, and his detoxification pathways (glutathione – the master detoxifier in the body) were compromised. We had quite a bit to work with and developed a personalized plan based on these findings. From an inflammation standpoint, leaky gut was a serious problem contributing to his illness. We started fish oil, L-glutamine powder, a good quality multivitamin and asked the parents to eliminate all GMO products from his diet and focus on organic products. Glyphosate (the active ingredient in Round-up) is a major contributor to leaky gut and used as an herbicide and pesticide on GMO seeds. We replaced his vitamin D, Zinc, Vitamin C, and vitamin B12. For his elevated homocysteine, we started methylfolate (the activated form folic acid) and initiated sonic cholesterol capsules to help raise his total cholesterol level. Lastly, we treated both the yeast and bacteria overgrowth with an over the counter herbal compound known as Biocidin. While incorporating these therapies, the family also replaced all toxic personal care products and house cleaning supplies with nontoxic alternatives. Despite the many changes and list of supplements we asked the family to incorporate, they were not intimidated and were incredibly eager and motivated. What they noticed initially was less aggressive behavior and a normal pattern to bowel movements. Within the first 6 weeks, anxiety seemed to improve and he was more engaging with his teachers and other students. Interestingly, if he was exposed to gluten or cow’s milk, they would notice more irritability so their compliance was quite good in terms of his diet. At his 3 month follow up visit, the family was pleased in the direction things were heading. Recognizing this is a slow process of recovery, even small steps forward can seem monumental in the ASD patient population. As with any chronic medical condition, focusing on inflammation, toxins, and deficiencies of vitamins and minerals gives our patients the best chance at disease reversal. If you or someone you know has a family member with ASD, please make sure to pass this important information along. After all, it takes a village! Folate and B12 lozenges are a great option for kids who don’t swallow pills. These help methylation pathways run properly. Many kids with these symptoms have faulty methylation. Methylation is critical for neurotransmitter function, detoxification, among many other chemical reactions. Glutathione is the master detoxifier- an area where most autistic kids are compromised. Many glutathione supplements are not well absorbed. Liposomal glutathione increases the absorption. Also letting it absorb in your mouth rather than swallowing immediately increases absorption. Try cauliflower crust and a bunch of veggies on top! Here’s a link to a yummy recipe from The Organic Dietician. Egg free too for all those egg sensitivities we’ve been seeing lately! 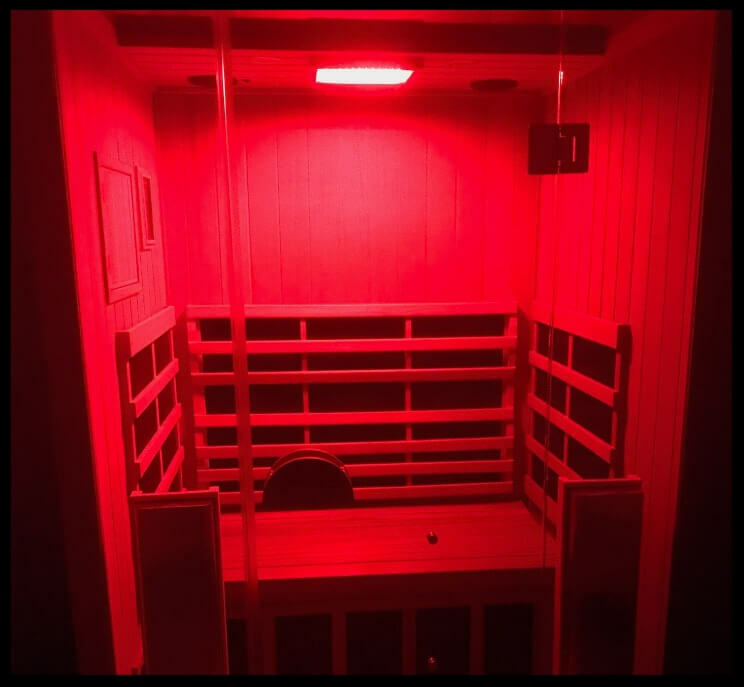 Did you know infrared saunas help your body release toxins, including heavy metals & environmental chemicals? These saunas can also help you lose weight, relax, relieve pain & purify your skin. Come experience our full spectrum infrared sauna for all of these benefits. When we put our thinking caps on and try to uncover root cause, you – the patient – can ultimately achieve a higher quality of life. If you or anyone close to you suffers from any chronic issue (including ASD/ADHD) and wants to work on reversing the underlying problems, come see us at Inspire Wellness.